There are many signs of bruxism in a person to be aware of. 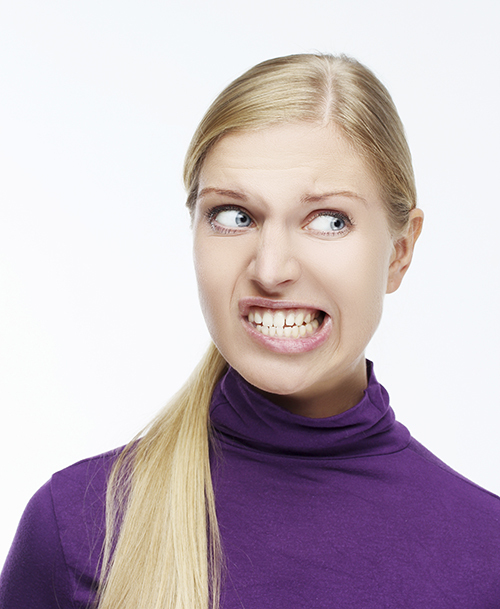 Bruxism can cause a lot of dental problems that can lead to many other problems in the mouth. When this happens, you do not want to worry about not being able to smile in confidence or having to deal with a number of dental problems that could have been avoided in the first place. There are numerous signs that show you have bruxism and that the person needs to see a dentist to have the issue cleared up. When this happens, you want to make sure that you have a treatment plan that works the best for you and your dental care. Large indicators of having bruxism include pain and sensitivity in the teeth, cracked or broken teeth that often happen and for reasons you do not know and teeth that are flattened out. The cracked and chipped teeth might not be noticed until the person wakes up at night. Sometimes the grinding of the teeth can keep the person next to them up at night. When bruxism happens, it can wear down the enamel on the outside of the teeth, leading to decay to get to the middle pulp area of the tooth. This leads to more cavities and can cause the person to lose their teeth if the problem persists. Speak with us here at our office to find out more regarding bruxism and the steps you can take to have the condition fixed. The right treatment plan is essential to get the most out of your dental health. Our professional staff understands that bruxism can be dangerous to your overall oral health which is why we work to help you find the best possible treatment plan that helps.